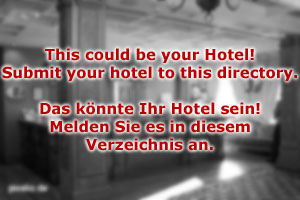 Hotel Salzburg Periphery can be found - as the name already says - on the outskirts of Mozart′s city. It is a small, but friendly place. 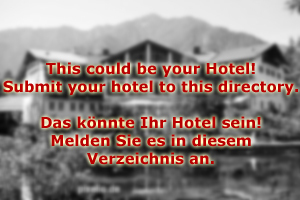 The house is a 3-star hotel run by the same family for more than 150 years; it is associated with a traditional Austrian Gasthof in the neighbourhood of Aigen. Hotel Salzburg Periphery is well-connected to major roads and therefore very suitable for business travellers. Tourists that come to the city for sightseeing will enjoy the green surroundings of hour hotel and the remoteness of its area. Hotel Salzburg Periphery is also the perfect place for making the leap beyond the city limits. Day-trip destinations such as the salt mines of Hallein, the Ice Caves of Werfen or the Großglockner Hochalpenstraße in the south are as much within reach as the lakes and hills of the scenic Salzkammergut area. The friendly staff at Hotel Salzburg Periphery is experienced in advising you with transportation, choosing the right destination and planning your itinerary. The rooms of Hotel Salzburg Periphery are light and friendly, furnished in traditional Austrian style with local materials. The building was renovated only a few years ago. All rooms come with bathrooms including showers and bathtubs, TV set and wireless lan. The Gasthaus caters for your breakfast and - if wanted - lunch and dinner. It is a very popular inn for the area that mostly locals go to; a great place for getting a sense of real life in Salzburg. Note our traditional beer garden with ancient chestnut trees. The city centre is about 25 to 30 minutes walking distance from Hotel Salzburg Periphery. City busses run very regularly and take about 10 minutes. Taxis are available, but usually not faster than the city busses. There is bicyle rental service just around the corner from our hotel and we can offer special discount rates for people who stay with us. Bicycles are clearly the fastest mean of transport in Salzburg - it takes you less than 10 minutes to get to the city centre. There, with all the narrow streets and lanes, bicycles are significantly faster than motorised vehicles.